The recent HOT topics about Excel should be the new Dynamic Arrays! After watching all the amazing demonstrations about the new Dynamic Arrays, I’ve decided to sign up to the Office Insider (Fast) programme (for Office 365 subscriber only). And I finally got it last Saturday. I was thrilled to try it out. Simply awesome! Then I try to solve a problem with the new dynamic arrays – Creating a shrinking dropdown list, as shown below. It is a common task to assign people to different groups. Once a person is assigned to a group, s/he should not be shown up again from the dropdown list in order to avoid duplication. In “old” Excel, I needed three helper columns, with a “scary” array-formula, together with the old-school trick to create a dynamic list by using OFFSET function as Named Formula. It took me quite a while (in terms of hour) to figure it out and make it work correctly. You may download a Sample File to follow along IF you are on Excel 365 Insider Program. Now try to input a Guest Name, say B, in E2. Technically, when a guest is assigned to the Table “AssignTable”, it returns a value; otherwise, it returns “#N/A”. This is what the formula just input does. Now we have the basis for filtering a list of non-assigned guests. Note: I am not going to go through the new functions in details, which is not the intention of this post. If you want to learn more about the new functions, I highly recommend you watch the YouTube videos from ExcelisFun and MrExcel.com. 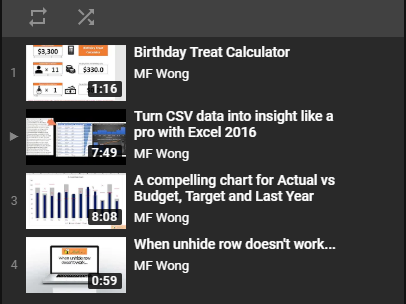 You can find the links to the videos in my post – Exciting Dynamic Array functions in #Excel 365.
wow… Did you see it? A list of “non-assigned” guest was generated. Pay attention to the changes in Column H with the input. Important: The key is the hashtag # that tells Excel it is a dynamic array originated in H2. Note: Absolute row is required here. Now, watch everything in action. Pay attention to the changes in the column [Assigned] and the Dynamic Array returned at H2, with the input. As you know, we can input the cell with data validation either from the dropdown menu or directly input (as long as the input is valid). However, I got the above error when I tried to input a name manually. So weird! Then I further experimented on UNIQUE and FILTER functions and fed the resulting arrays into Data Validation, they all worked normally as expect – I could either input the cell from the dropdown or manually. One step further, I used RANDBETWEEN in a small dataset. The resulting dynamic array from FILTER function changes whenever I input something. Interestingly, the data validation accepted input from the dropdown always. Nevertheless, it worked occasionally (indeed randomly) for manual input. Apparently, inputting a cell manually trigger a recalculation before the cell content being sent to the validation process. It makes sense to me because RANDBETWEEN is a volatile function. Because of this, there are chances that the “re-calculated” array does not carry the label we input and hence the data validation rejects the input. Interestingly, inputting the cell by dropdown menu trigger the recalculation after the validation process. 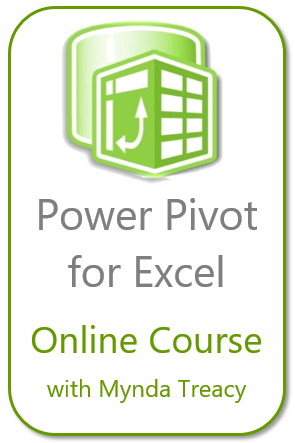 This entry was posted in Excel Tips and tagged Data Validation, Dynamic Arrays, Dynamic Dropdown, Excel 365, MATCH. Bookmark the permalink.